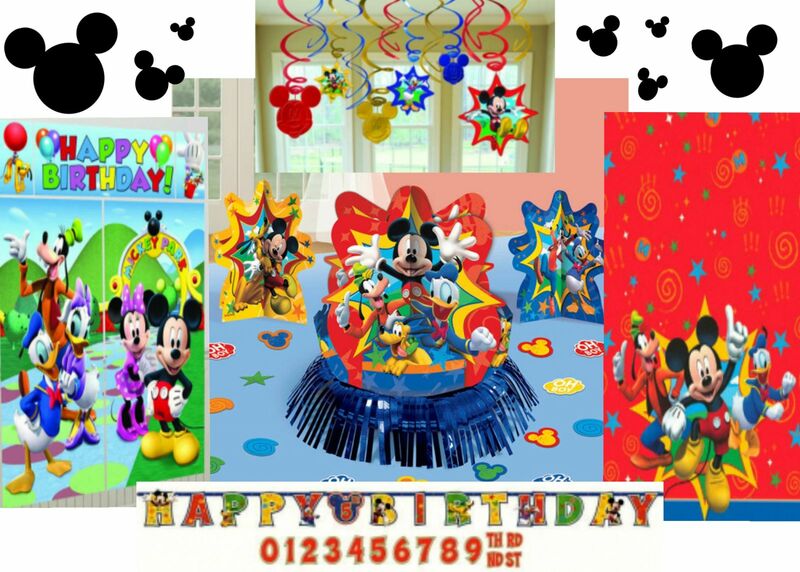 8 Mickey Mouse Square Plates of 9 inch. 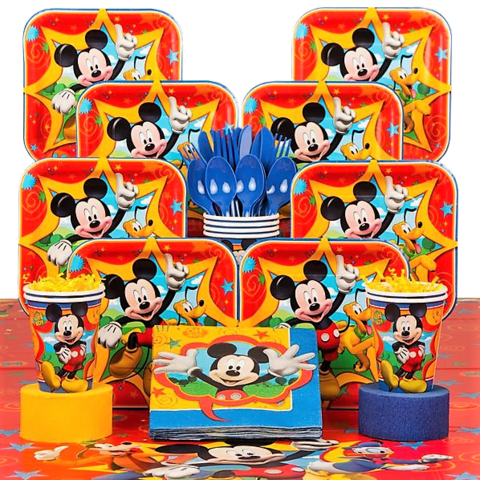 8 Mickey Mouse Square Plates of 7 inch. 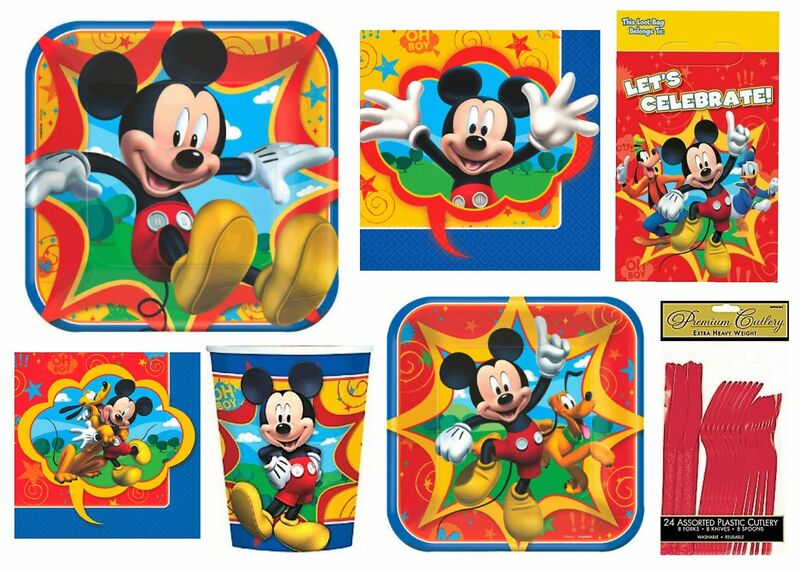 16 Mickey Mouse Lunchon Napkins. 16 Mickey Mouse Beverage Napkins. 8 Mickey Mouse Cups of 9oz. 8 Mickey Mouse Plastic Loot Bags, each measuring 6 1/2in x 9in. 1 Apple Red Premium Heavy Weight Assorted Cutlery 24ct (8 spoons, 8 forks and 8 knives). 1 Foil Fringe Centerpiece,12 3/5"
2 Printed Paper Centerpieces, 7"
2 Pieces, 59" x 32 1/2"
1 Banner 44 1/2" x 16"
2 Cutouts 16" x 10 1/4"
OUR PRICES DO NOT INCLUDES TAXES. THE PARTY SUPPLIES WILL BE DELIVERED FREE WITH AN INFLATABLE RENTAL.